While we are getting more and more smartphones in our hands the more we are getting addicted to smartphones. One major interruption that detaches us from our smartphone is the excess battery drainage in short time. This has been under study but till technology couldn’t make the battery bigger. We are hopeful that some day it will be solved but till then Legion Meter’s Kickstarter project can sort your problem to some extent. If not able to increase battery size, how about decreasing the time of charging. The device extracts the best of USB charging in a faster manner. 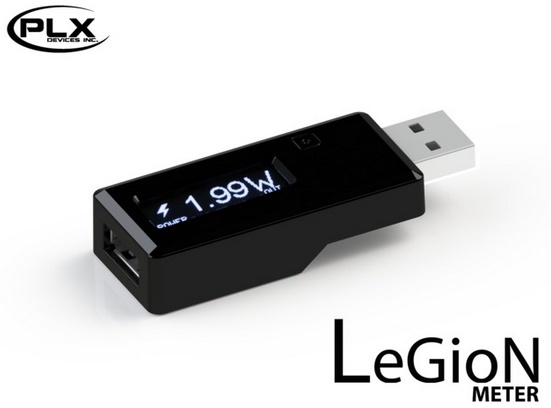 Legion Meter looks like a tiny USB drive but it has many things compacted inside. It accelerates charging and operates in two main modes- one for iOS and the other for Android. The last mode enables almost all major platforms to charge. The circuit is designed such as to draw the maximum power from the device. An important aspect of the Legion Meter is the Watt hour mode of operation. In this mode of operation, energy getting charged into the battery in watts per hour is estimated and the total capacity is also calculated. Another interesting thing is the 128×32 OLED panel displays the watts of power accumulated or fed to your phone battery. It includes automatic screen saver mode and an actual graphics processor for quick OLED transitions. Legion Meter would be arriving by October and price will be some what around $69. Time will say if price cuts down a bit.